The Paw Patrol Figure Set 6 Piece is on sale for $8.32 at Amazon right now. That's 44% off the list price of $14.99! A great set for your Paw Patrol fan! Nickelodeon's Paw Patrol mini figurines/ cake toppers. Includes one 1.5″ figurine of each character. These small figures are perfect for little hands to hold and pretend play or even trade them. 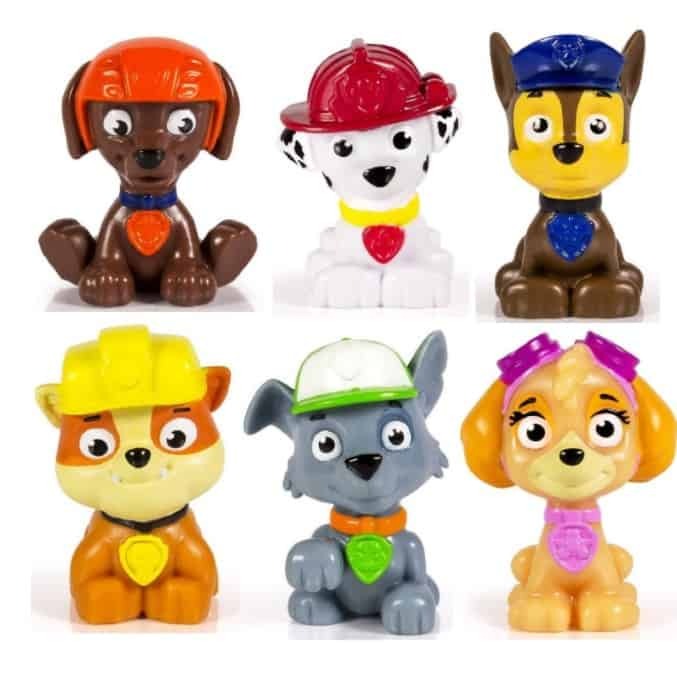 Set of 6 include one each of Skye, Rocky, Chase, Marshall, Rubble and Zuma.